Jackie Kennedy reportedly had a mutual understanding with her husband, JFK, when it came to his dalliances with other women. In a new cover story on PEOPLE magazine, sources report that Jackie was aware of her complex marriage to the President and was raised to believe that spouses cheating was just something that was done. "It was a marriage of its time," a close family friend tells PEOPLE. "At the end of the day, Jack came back to Jackie — and that was it. They loved each other." The couple was only married for seven years when JFK was sworn in as the President of the United States in 1961. In the 1997 book, "Dark Side of Camelot," journalist Seymour Hersh wrote that JFK became "consumed with almost daily sexual liaisons." 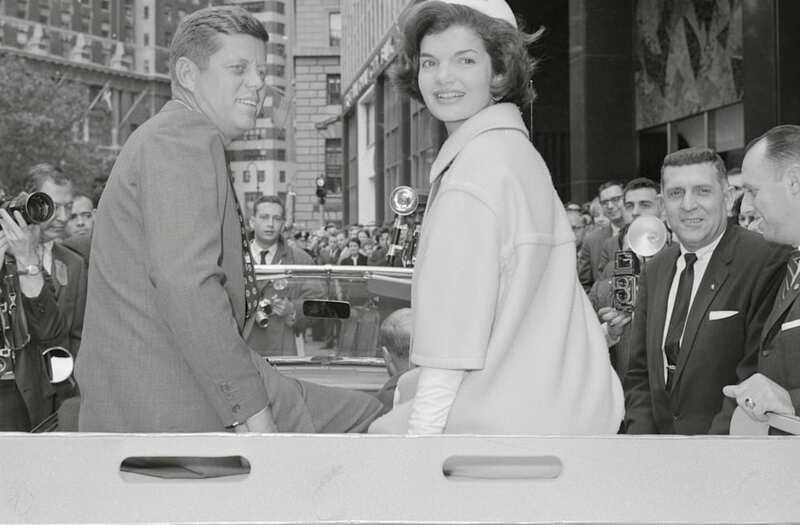 JFK's affairs were sometimes notable and not so notable. For years people speculated that the President was with Marilyn Monroe, Marlene Dietrich, Blaze Starr and more screen stars. Jackie Kennedy and friends, circa 1960s. (Photo by Fotosearch/Getty Images). Another friend added that Jackie didn't care about changing her husband because she knew what they had. "It was kinetic between them," explained a friend. "She wasn't trying to change him." "Jackie Style" author Pamela Keogh says Jackie's father, John Bouvier, had his own indiscretions, which influenced Jackie's marriage. "She came from a world where that is what men did, and it was accepted," says Keogh. Reports say that Jackie always just turned the other cheek. News stories and accounts have been surfacing more as of late given Natalie Portman's current film, "Jackie," which is now in theaters.